Spring has arrived early where I live in Western North Carolina, and for me this means transplanting, repotting, and dividing plants. Some are easy – you just dig them up and move them, but some take a bit more planning and care. A question I am often asked is: Why should I divide my plants? Can’t I just leave them in a clump? Divide to multiply! Many plants, like daylilies and hostas, produce more plants each year. By dividing them, you get to have more free plants. Give some away. When you divide plants, you can give some to friends and family. Make extra cash. I sell some of my plants every year in places like Craigslist, eBay, and tailgate markets. By dividing my plants I have mature plants by market time, not babies. Watch for disease and bugs. Some plants, like irises, can get nasty bugs like borers. You may never detect them if you don’t divide. Give your plants renewed vigor. Many plants will become stunted if left in clumps. By dividing them, you give them a chance to breathe and soak up more nutrients. Make transplanting easier. Divided plants are smaller and easier to transplant. 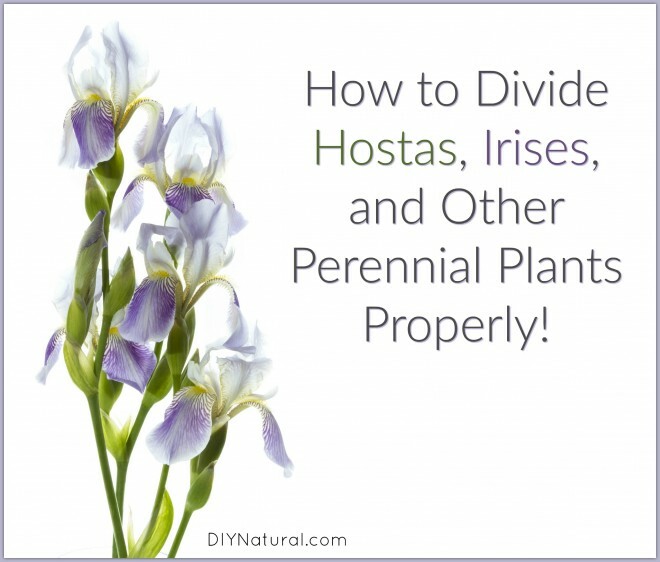 Dividing plants is relatively easy, but it can be time consuming. Be sure you’re not in a hurry and that you have plenty of light. 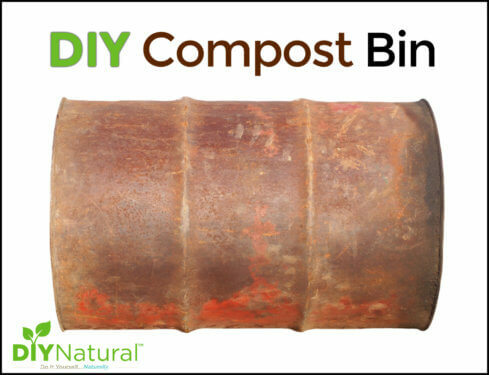 I cover my picnic table with newspaper for a work surface, and then just throw it in the compost when I’m finished. Here is a list of some plants that can be divided and how each should be done. Remember: Most plants should be divided in the early spring before any flowers or leaves come out. Dig your root ball and shake off all excess dirt. You’ll notice several crowns at the top. Gently pry the root ball apart, taking care to keep all the roots attached to each crown. They will be tangled, but once you loosen it up, you’ll be able to separate them quite easily. Plant each crown separate from the others. These are done much the same as hostas, but there will be more of a “hand” with thickened portions of the root. Be careful you do not pull these apart from the root. Most irises will divide the same way. When you dig them up, be sure to go deep. The rhizome, which is the large thick part of the root, can be found on top of or just below the surface of the ground. The roots can be quite long and are found deep in the soil below the rhizome. Be sure you dig up the entire root. Shake off the excess soil. To divide, locate each stem and its adjacent rhizome. As long as the stem has some rhizome and root, you can break it off or cut it. Watch for iris borers. They are very large worm-like bugs that look like maggots, sometimes 3 inches long. If you find them, dump them into a pail of soapy water. Adding bone meal to the soil when planting will help them get reestablished more quickly. Large clumps of peonies can be divided by digging up and cutting with a knife. Be sure to get stem and root on all pieces when dividing. These can be divided in the spring or fall. Dig up the corm and look for babies. Around the roots will be small “cormels” that can be taken off and planted. I like to plant the cormels in the spring when the warmth of the sun will encourage growth. When digging comfrey, place the shovel in the center and make a sharp cut. Dig out the remaining pieces of root and transplant. Beware – comfrey has a brittle root that breaks very easily. If you are transplanting and want to get it all, be sure not to leave any root sections behind. They will sprout even if they are only ½ inch long. I didn’t know this and used some of the soil from around my comfrey when I transplanted other plants. Comfrey came up in everything! 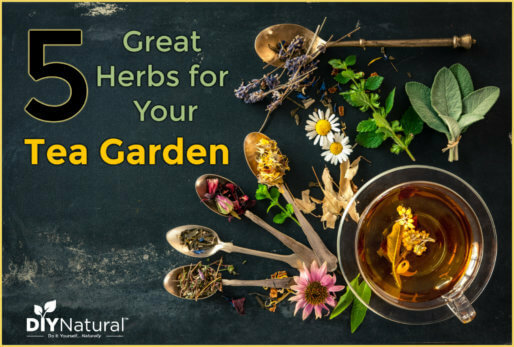 Some herbs, such as mint, oregano, and thyme, can be divided by simply digging up the plant and slicing through the roots and then transplanting. If you are lucky enough to have bananas, like Musa Basjoo, over winter, you can divide them in the spring. With bananas, it’s best to wait until they start to come up again in the spring so you can locate the corm. Use a shovel to section off a piece of the pad. (The corm, once it spreads underground, is known as the pad.) I had one develop a pad that was over 20 feet across. It looked like a small jungle. You can take small plants from these easily in the spring. Make note that the plant may wilt a bit once it is dug up, but will perk up in a week or so. You’re working with a living thing. Don’t handle them roughly or leave them out of the soil for long. If you need to leave them for a while, set them in a bucket of water or cover them with a damp cloth. Clean your tools. 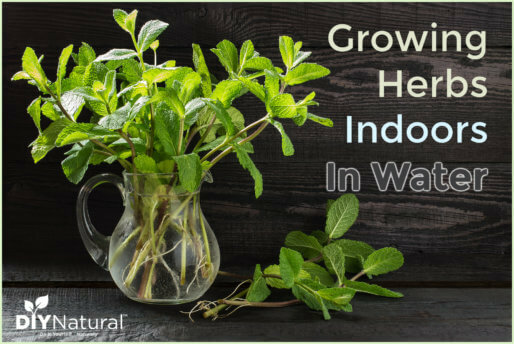 Some plants, like most of the mints, are naturally antibacterial and may inhibit rooting of other plants. You don’t want any leftover plant material causing problems. And if you are working around poison ivy, you could transmit oils. Cleaning will ensure you don’t have problems later. Know where you’re going next and have your pots and/or beds ready. You shouldn’t leave plants in the hot sun while you stop to dig them a hole. Be sure to water everything well. It does no good to divide and then transplant plants if you put them into dry soil. Have you divided plants before? Have you found any to be tricky? Which ones? I have been trying to get a small community flower garden started for 10 years now. Big heavy tiles need to moved buy Council and we need blue print of where utilitys are. We are getting closer to having this done. Now the Amber street lights have been replaced by very bright LED lights that stay on until midnight. Will these lights effect growth of a tree, perennial and annual? I don’t think they will, Katie. Some plants, like tomatoes, are conditioned to react to day light hours, but most are not affected by light or the lack of it for that long. This is called photoperidism. And a lot of times, if they are, it’s the heat of the sun, not the actual light. If the lights were very warm, in very close proximity to or stayed on all night long, there may be problems with flowering and fruiting, but for the most part, it won’t be a problem.